Two folks coming from Halifax, NS Canada and relocated to Berlin with the intention of making bright, energetic, exotic pop sounds. Balearic, tropicalism, this is a call to Air France or Washed Out fans and Sincerely Yours followers. Debut single not-to-be-missed. Grande Comore is an island in the Indian Ocean off the coast of Africa and Mauna Loa is an Hawaiaan volcano. This is enough for us to love them. We’re currently living in Berlin but come from beautiful Halifax, Nova Scotia, Canada. Falafel. It’s our staple meal, we’re still in search of Berlin’s best. Club Mates- they’re fiendishly addictive naturally caffeinated sodas, like ice tea that kicks like coffee. Essential part of any creative day. We’ve been collecting acapellas of all conceivable sorts on a mission to find sounds and samples to work with. Jamie: Tarantulas in your house at night during a snow storm. Ben: I have a terrible memory for quotes. There should be a quotes application for the Ipod where you punch in a keyword like ‘inspiration’ and it throws up some magnificent quote, which you can quickly read underneath the table then promptly deliver in a voice of wisdom to your unsuspecting friend. ‘Real Love’ by Delorean. It’s Ben’s alarm song and we live in a one bedroom flat. Ben: ‘Dancing On My Own’ by Robyn, a rare perfect pop song. Jamie: ‘Airplanes’ by Local Natives, I’m currently obsessed. Ben: ‘Song to the Siren’ by This Mortal Coil, just to make sure there’s no dry eyes. Jamie: ‘I Miss You’ by the late Teddy Pendergrass. Jamie: Most of the songs from The Avalanches album will do. Wikipedia, the pathway to eternal knowledge. Digital downloads are the future of music distribution and the most important promotional tool right now. The internet is by far the easiest way to get one’s music heard and that’s a great thing. Ben: Gus’s Pub in Halifax. Jamie: Panorama Bar in Berlin is an incredible place to see a live show. Ben: Beach House at Primavera Sound this year was a truly memorable experience, but seeing Fennesz play at Berghain this fall was the most mind-blowing artist/venue combo I’ve yet to experience. Jamie: I saw Interpol several years ago in Ottawa and it was an incredibly satisfying set. Jamie: I’ll go ahead and choose a time and place: A beautiful summer’s day on the North Shore of Nova Scotia. In Berlin, hopefully without a hangover and with nothing to do but make music and drink Club Mates. Beautiful sounds! 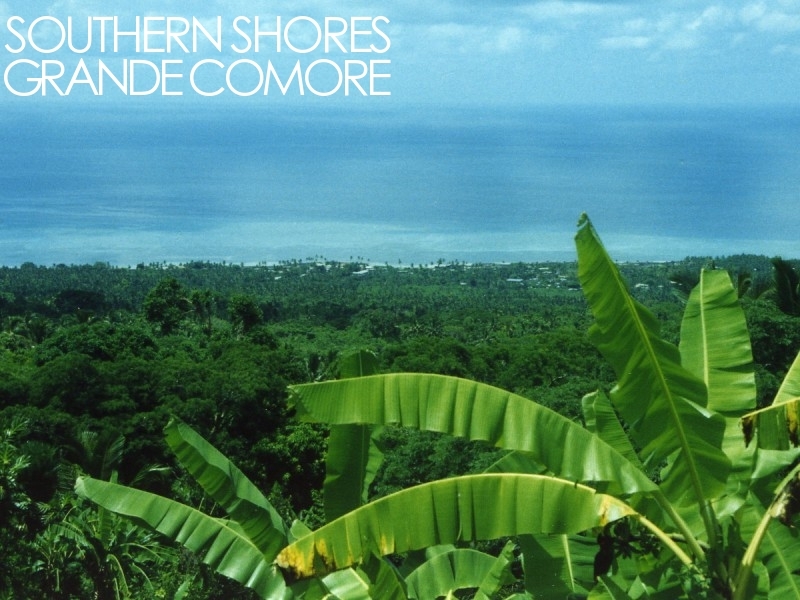 Give us more Southern Shores! You are the future!